A psychological thriller set on a Greek island in which two young, affluent women--one older and amoral, the other more naive--find a Syrian migrant washed up on the shore and come up with an ill-advised plan to help him. Osborne is a startlingly good observer of privilege, noting the rites and rituals of the upper classes with unerring precision and an undercurrent of malice ... Osborne takes his time baiting and setting his trap, and one of the pleasures of the novel is its unpredictability ... The novel takes on the tone of an existential noir, evoking writers like Jean-Patrick Manchette and Georges Simenon. Yet even as the narrative accelerates, the novel retains its sense of languor and style ... Beautiful Animals is unlikely to radically alter your understanding of the refugee crisis. But it may make you question the nature of your engagement with that issue and the world beyond ... Like The Great Gatsby, Beautiful Animals concludes with a rowboat on the sea and an image of light in the distance. But Osborne crafts a rebuttal of the green light that symbolizes Gatsby’s dream: 'They were like shooting stars, flaring up for a brilliant moment, lighting up the sky even for a few lingering seconds, then disappearing forever.' A world without the organizing principle of an ideal is a harder, bleaker one to inhabit. It’s a world without promises, and Osborne is one of its most dedicated chroniclers. Osborne is certainly clued up about the blundering of decadent tourists amid more morally grounded locals. His cynical take on Western decay is pitiless, matter-of-fact ... Osborne is a master at imbuing his text with both dread and inexorability. Beautiful Animals positively drips with this-can’t-end-well ... So let’s not mince words. This is a great book. Truly difficult to put down, the novel exerts a sickening pull. Its climax and resolution will not disappoint. The social perspective is sophisticated, smart and uncomfortable, and the story is cracking. I am always partial to a slightly unhinged, yet sophisticated female character with a problem, and Naomi doesn’t disappoint. She feels empty and angry and doesn’t know why ... After the drama of the main crime, the action moves to the sun-baked, 'defiantly morose' villages of Italy. It is there that Faoud makes his way to a new life, in the chilling knowledge that his own life is regarded as worthless. This is a theme that could be developed further, but Osborne has chosen not to do so. Nevertheless, Faoud’s plight and state of mind is unfolded with dignity and sympathy. Osborne offers an astute, unsentimental critique of the contemporary world in crisis ... In the last third of the novel, there is too much resolution — the tying up of loose ends that would be better off blowing in the wind. All the same, Beautiful Animals is mostly a page turner. It would make a blockbuster film. 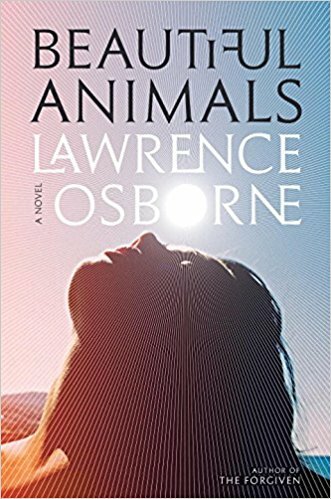 Most impressive of all, and there is much to be impressed by, Osborne handles surface and depth with immense skill, as only great writers can do. Beautiful Animals is his most accomplished book so far — a big, clever, crazed beast of a novel. What did you think of Beautiful Animals?